Every year I make a goal list. This is a list of all the things I want to achieve throughout the year. It’s not a big list or overly fancy. It’s completely separate from my big goals and is often times random stuff. My past lists have included: Ride the new light rail on the Gold Coast. Eat lobster for the first time. Visit Melbourne. Paint the letterbox. It’s a list that I have that if I do nothing else throughout the year, at least I have done something. Anyhow… before I get completely sidetracked! On these lists, each year I put a list of books I want to read throughout the year. Often I will put up to 12 books to knock out throughout the year. This is one of my favourite things to do on my list. I LOVE to read! 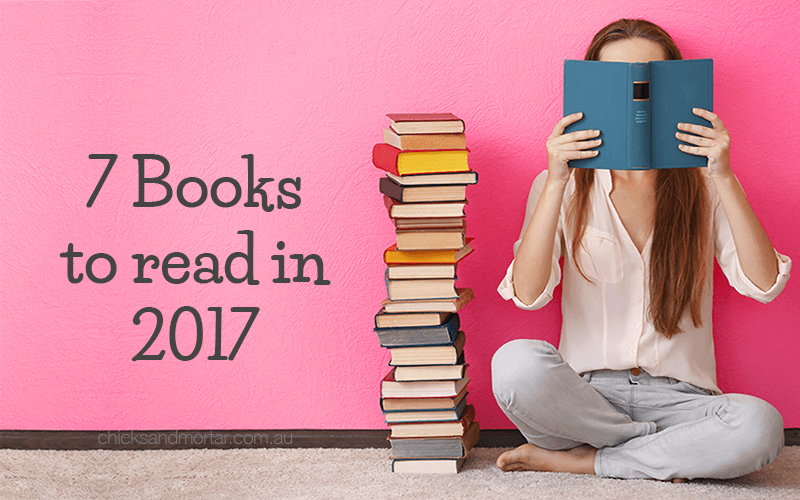 To help you get started on your own list, I’ve compiled the top 7 books that I recommend for you to read in 2017 to help you on your property journey. Rich Dad Poor Dad was one of the very first investment books I read and to this day, it’s still a firm favourite. Robert Kiyosaki provides a wealth of investment knowledge that is conveyed in plain english. It’s a book I refer back to regularly and highly recommend you get a copy for your bookshelf. Robert Kiyosaki has written many books in this series, including: Rich Dad Success Stories, Rich Dad Poor Dad for Teens, Rich Dad’s Cashflow Quadrant and has a popular board game based on his teachings called Cashflow (We play it with our kids and I highly recommend you play it too). Of course I would be remiss not to mention Kim Kiosaki’s book, Rich Woman here as well. Just as good as Rich Dad Poor Dad and just as full of relevant, useful and informative information. A firm favourite. Margaret Lomas, Like Robert Kiyosaki has written numerous books about property and one of her latest ones is How to achieve Property Success which encompasses the best knowledge drawn from 3 of her best selling books. It is seriously jammed packed full of quality property and investing information. Well worth a spot on the shelf. Again, Anita Bell is part of the multiple books club and all her books, although a little dated now, are well worth a read. Her first book “Your Mortgage and how to pay it off in Five Years by someone who did it in three ” was the bestselling Australian non-fiction book in 1999. Her second book “Your Money: Starting out and starting over” is an excellent to help you turn around your money habits. If you struggle to get through an information dense book about property and investing and are looking for more of a lighter read then The Property Diaries is the book for you. The Property Diaries is described as a ‘fun and informative” and it’s definitely that. Written as a mixture of fiction story telling and non fiction information, it keeps you engaged while still convey relevant and applicable property information. The Property Diaries is the second book by Antonia Magee. Her first book… Living Thin follows the same format but is focused on money rather than property. The Property Diaries: A Story of Buying a House, Finding a Man and Making a Home… All on a Single Income! Full Credit to the author for writing this book and sharing her story. In Bright Yellow Happiness, Kate Moloney shares what she has learnt going from Investor of the year to $5.8 million in debt just three years later. 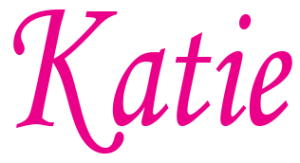 Many lessons to be learnt in Kate’s story along with insights and blessings that come from worse case scenarios. This book was real eye opener and game changer for me (along with similar book Nice Girls Don’t get the Corner Office ). Not so much an property or investment book but more of an in depth look at the mindset and behaviour of women and how we can implement strategies and tactics in any situation. An absolute must to read for anyone who feels being a ‘nice girl’ is not getting you anywhere. I love this little book. Not because it’s pocket sized, but it’s full of handy advice about getting more organised and getting control of the clutter before it takes control of you. It’s more of a reference book to refer back to and implement changes as you see fit. In my opinion, a clutter free space equals a clutter free mind. And that is why this little gem will always have a permanent home on my bookshelf. Of course, I couldn’t do a book recommendation list without giving a shameless plug to my own book. Although I won’t give you my opinions on the book as they will be completely biased, but I will say it’s written for women who are just starting out and want to dip their toe in the property investment waters. Plus is comes with handy resources that you can access and download. I haven’t read this book yet, but it’s on my 2017 book list. I have heard it is an excellent book and provides highly targeted information conveyed in a step by step format, which I always love. So this is going on my recommended list for you too. I love books so much and could talk forever about which ones I’ve read and what I thought. But what I would really love, is to hear what books you love. Share in the comments below what books you have read on property, investing and mindset and let us know which ones you liked and didn’t like. Disclosure: This article contains affilliate links which means I may receive a commission or free use of service if you decide to purchase from or sign up to any company noted in this article. Thank you that’s a great list. I will definitely check some of these books out. I love Mindset Books and anything to do with personal Development. I read Bright Yellow Happiness before, I agree it is a must read. I will also look at your other recommendations. I am an aspiring property investment manager. I always look around the internet for information and learning.